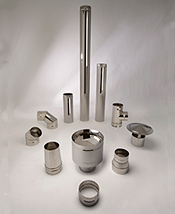 Push fit, stainless steel, twin wall insulated chimney for use on medium and high temperature solid and multifuel applications. 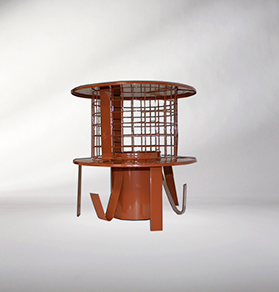 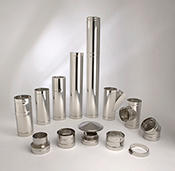 Vitreous enamelled, single wall, connecting flue pipe for gas, oil, solid and multifuel applications. 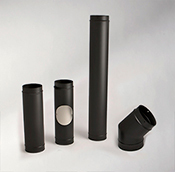 Alternatively available in Gloss Black in 100mm, 125mm and 150mm, please specify when ordering. 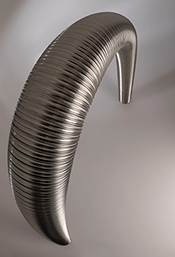 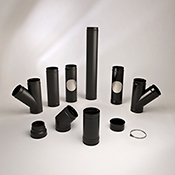 Eco Vit enamelled single wall connecting flue pipe for solid and multifuel applications. 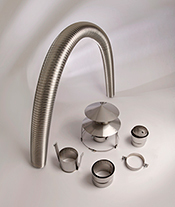 Midtherm Flexible Liner, Liner Components and Clay Pot Adapters. 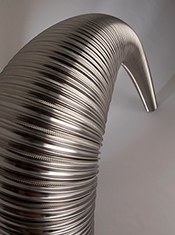 Twin Wall Multifuel Flexible Liner in 316 grade stainless steel. 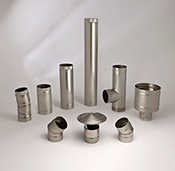 Stainless steel and terracotta clay pot adaptors with or without standard cowls for use with liners on multifuel applications.